Xperiencias Xcaret Group opened the first phase of “Xochimilco Cancun” on December 20th 2013. Xochimilco Cancun is built 60 hectares of abandoned sascaberas or limestone quarries and is just 10 minute drive from Cancun International Airport and adjacent to Cancun-Tulum highway (on the route to Puerto Morelos) in Riviera Maya. The site was reforested with 100,000 native trees and plants. It is intended to be a replica of Xochimilco in Mexico City. Xochimilco is one of the boroughs of Mexico City. It is known for its extensive network of canals and islands called Chinampas. The canals have colorful gondola-like boats called “trajineras” around the 170 km of canals on which tourists can roam around. This canal and chinampa system was built by Aztecs in pre-Hispanic era and now has been designated as a World Heritage Site. The project has been built at a cost of $283 million pesos. The promoters of this project are in talks with the Federal Ministry of Tourism to promote “Xochimilco Cancun Park”, at the “Tourism Expo” in 2014. All efforts have been made to make the experience of the tourist to Xochimilco Cancun Park as authentic as possible. The park has gardens, forest clearings and a network of canals through which visitors will sail in trajineras. 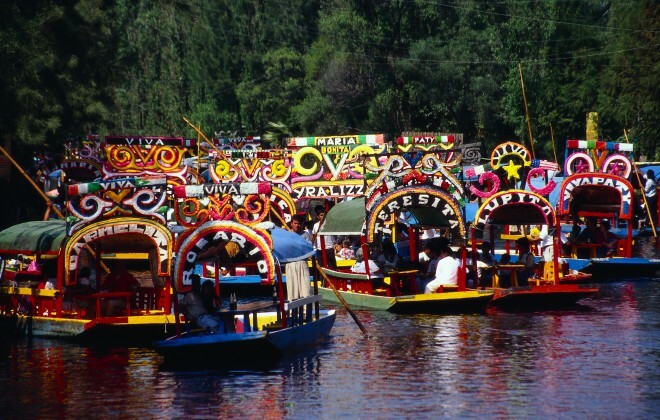 The park’s fleet of 40 boats will be decorated with distinctive designs representing each of the Mexico’s 32 states, Mexico City and the original Xochimilco boats.